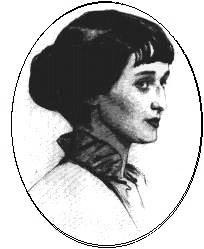 ﻿ Poetry Lovers' Page - Anna Akhmatova: "He, Who Was Called..."
You are here: Home » Russian Poets » Anna Akhmatova » "He, Who Was Called..."
ANNA AKHMATOVA: "He, Who Was Called..."
And with a smell of roses, ever freshest. Marble is crammed – all’s ready to be perished. And most living – Kingly Word, we relish.